True. It contains few ingredients besides cream. But does this make it better? 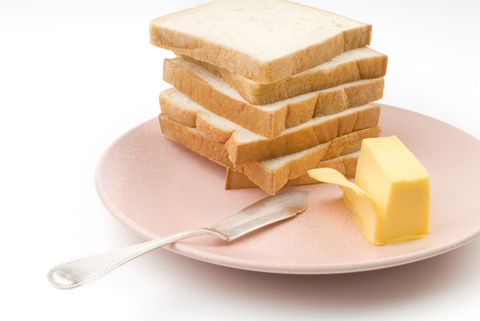 Butter is naturally high in saturated fats; (over 50%), which when consumed in high amounts can be linked to an increase in the bad LDL cholesterol; a risk factor for cardiovascular disease. This is of course subjective; strangely I’ve never been all that enticed by the taste of butter and am more inclined to spread my toast with vegemite sans any other spread, but those loyal to the solid stuff will scoff at any imitation. Also true. Margarines are made from plant oils, with variations containing sunflower, canola, olive, or even a combination of several. Consequently, margarines contain both poly and monounsaturated fats, which are known to protect against the high cholesterol butter may encourage. Furthermore, a number of margarines have been developed in recent years to contain phytosterols, naturally occurring substances found in plants that have the ability to bind to cholesterol in the body and prevent reabsorption. 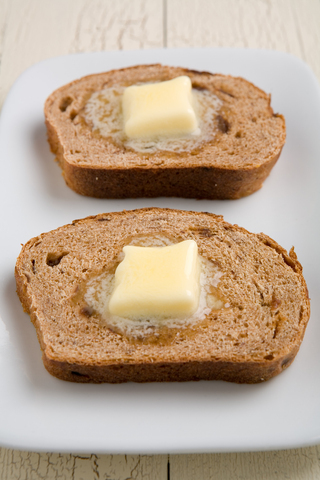 This is pretty exciting news for those on cholesterol-lowering medication such as statins, as these people may be able to control their condition in part by substituting butter with spreads. This not only makes life easier, and food presentation less messy, but also means you’re cutting down on the kilojoule content in comparison to the thicker, more solid butter. But isn’t margarine full of trans fats? This is a common misconception. Trans fats are a name given to unsaturated fats that have been processed, via means of hydrogenation, to make the fat behave – and appear – like a saturated fat. This means that, rather than behaving as an oil at room temperature, a trans fat will appear solid – thus taking on the sensory characteristics of butter, which has a higher melting temperature than oils contained in margarine. This is all sounding pretty good so far, and at one stage it appeared to solve at least a few of those margarine-doubters’ concerns. That is, until it was discovered that trans fats also elevated the levels of bad (LDL) cholesterol and decreased the levels of good (HDL) cholesterol – after which trans fats were linked to a whole host of diet-related diseases, in particular heart disease and the rate of inflammation in the body overall. For this reason, margarine in Australia has amongst the lowest rates of trans fats in the world, according to the Heart Foundation. You’re more likely to be consuming trans fats through processed meats, chips and pastries than marge. When it comes down to it, the best choice really is margarine. 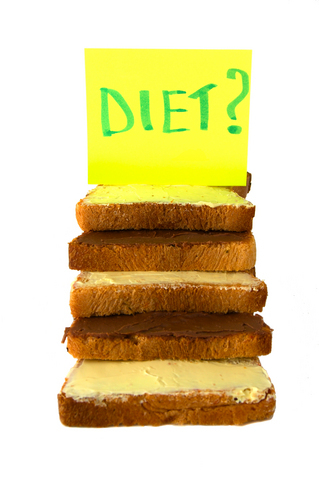 However, if you really can’t bear to part with butter, rest assured you can still maintain a healthy lifestyle. As always, moderation is the key, so ensuring you keep your portion sizes to a few small scrapes, rather than spreading it thickly, on will avoid overloading on empty kilojoules. 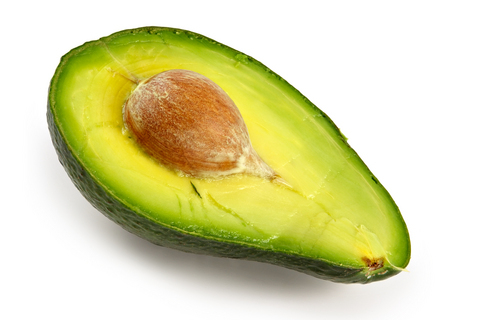 If, like me however, you’re not entirely swayed by either, consider using avocado as an alternative. This provides a similar creamy texture, and boasts a wide range of nutrients (vitamins A, E, C and K; antioxidants and fibre), and has had absolutely no processing! Most margarines are made of sunflower and canola seeds, which are naturally dark in colour. In order to release the oils from these seeds, they are crushed, removing the outer shell, and thus, the black colour. You’ve got some pretty good arguments there for the margarine case. I always preferred the taste of butter and since I didn’t use it very often, and had low saturated fats in the rest of my diet, I never saw a problem with it. But for people who use lots of butter or eat lots of meats and dairy with high saturated fats, margarine could be a better option. I don’t eat dairy anymore though, which leaves me with the choice of Nuttelex margarine – not the best tasting option so I don’t use it much, but I am slowly getting used to the flavour. Personally I prefer to cook with olive oil so that gets past the problem for nearly everything except toast. I agree, definitely not a problem if the rest of your diet is fairly low in saturated fats. I must say I tried nuttelex a while ago and didn’t mind the taste! I guess it’s all a matter of what you’re used to though really. Good article. I’ve always debated that myself.